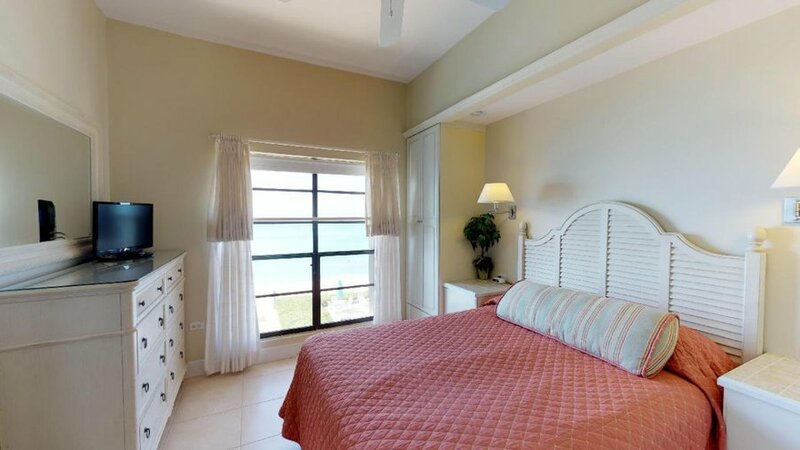 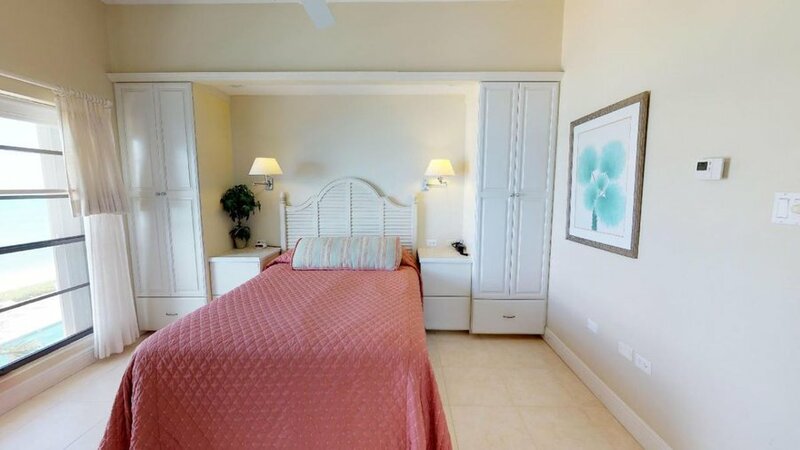 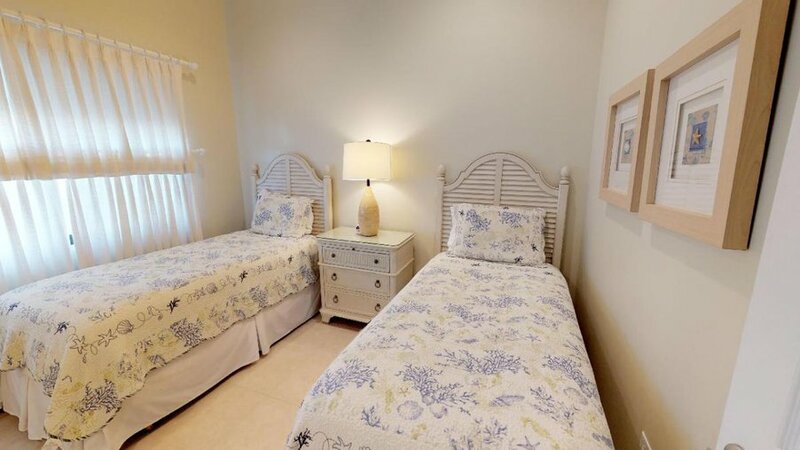 Third Floor Ocean Deluxe – Unit 12 is an ocean front unit with three bedrooms, two with queen beds and one with two singles. 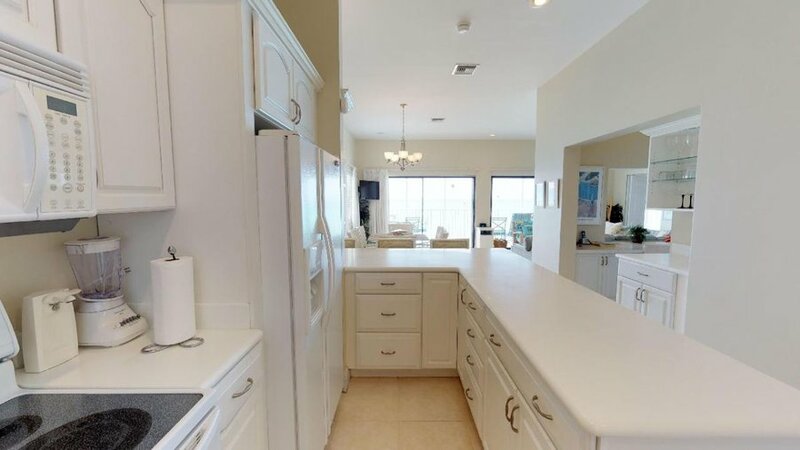 The unit has a large living room and kitchen area. 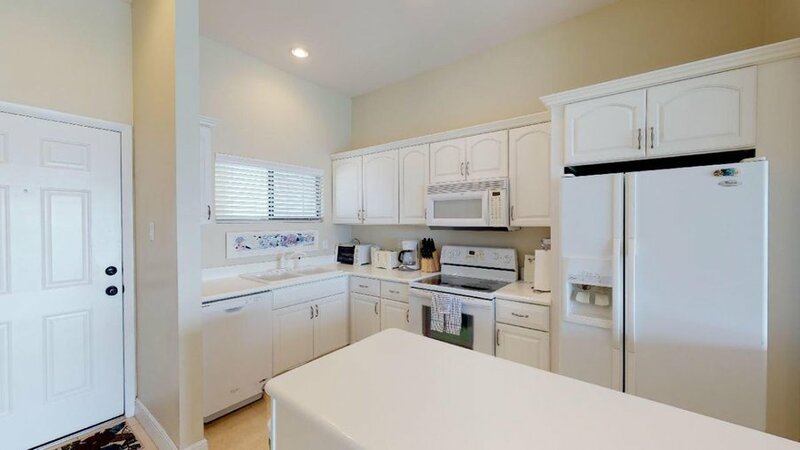 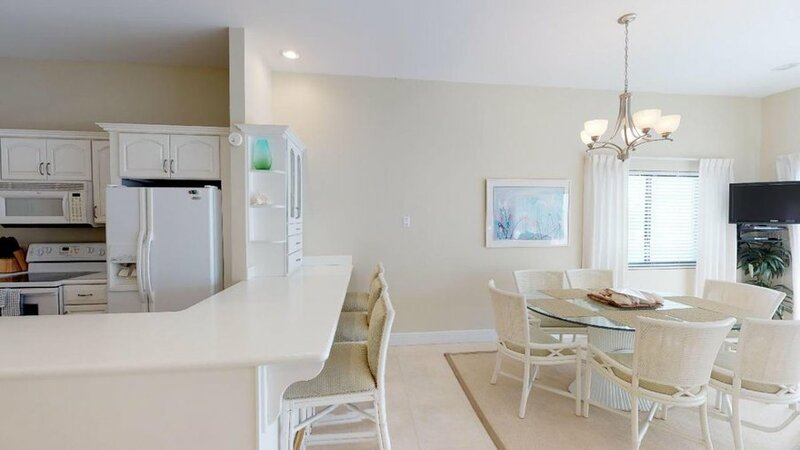 The kitchen and dining area include all the necessary appliances and the table seats eight. 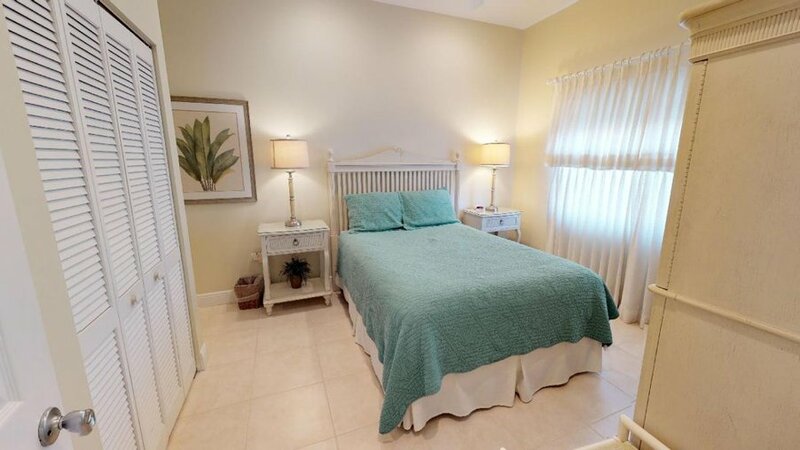 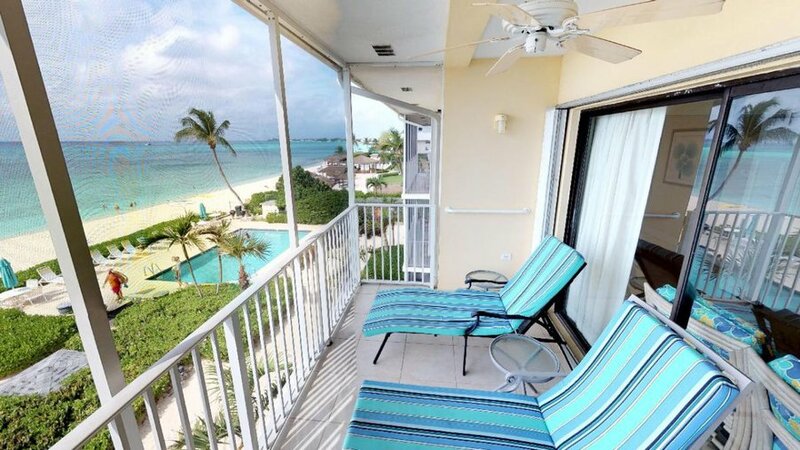 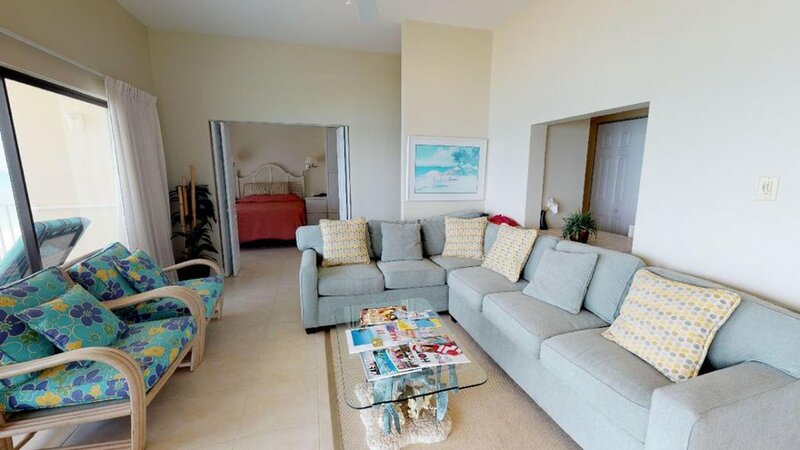 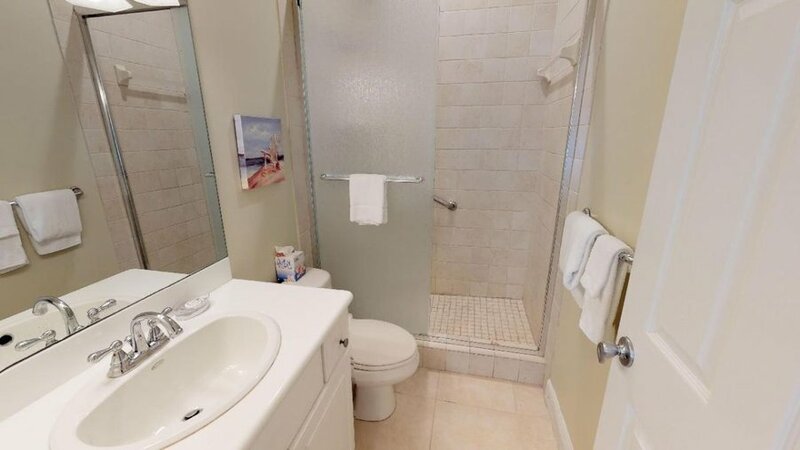 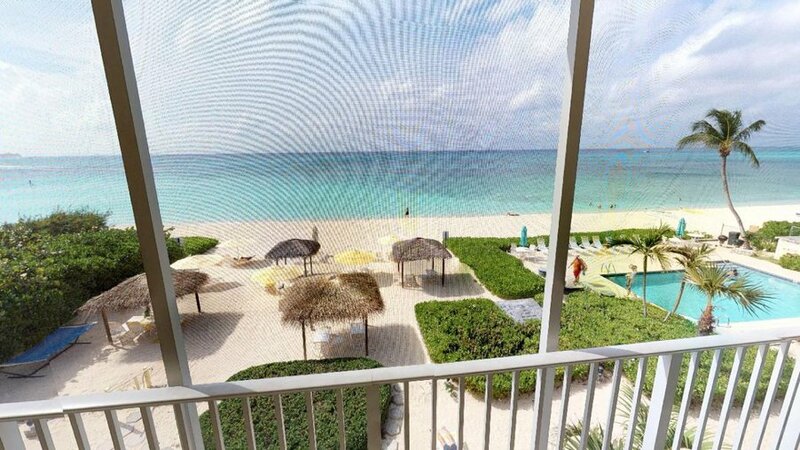 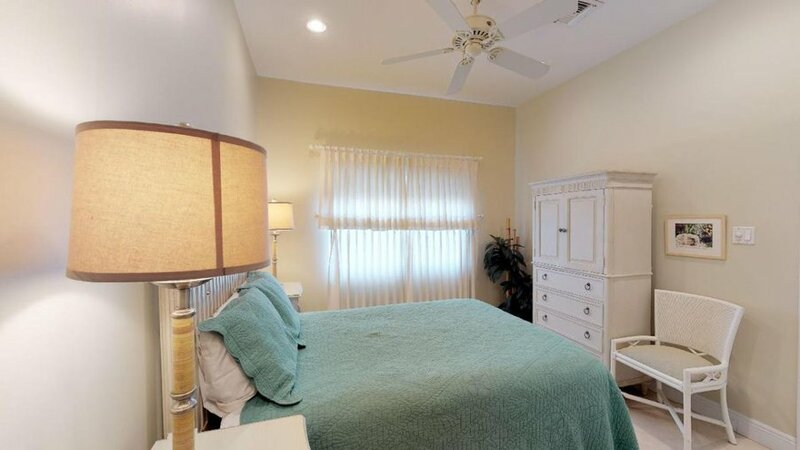 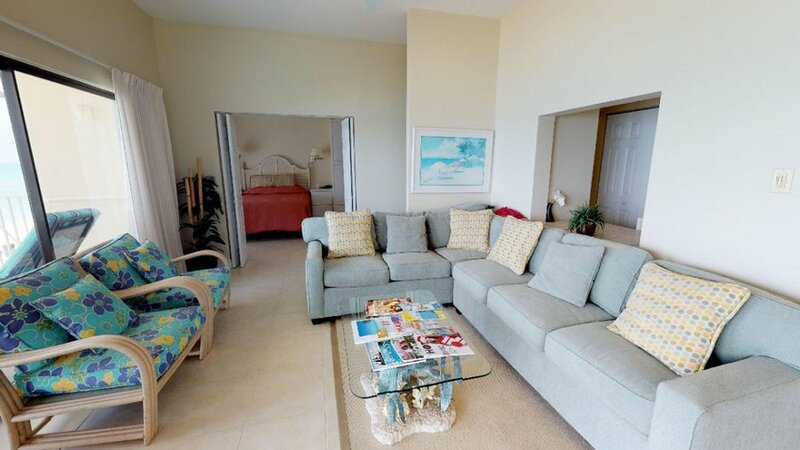 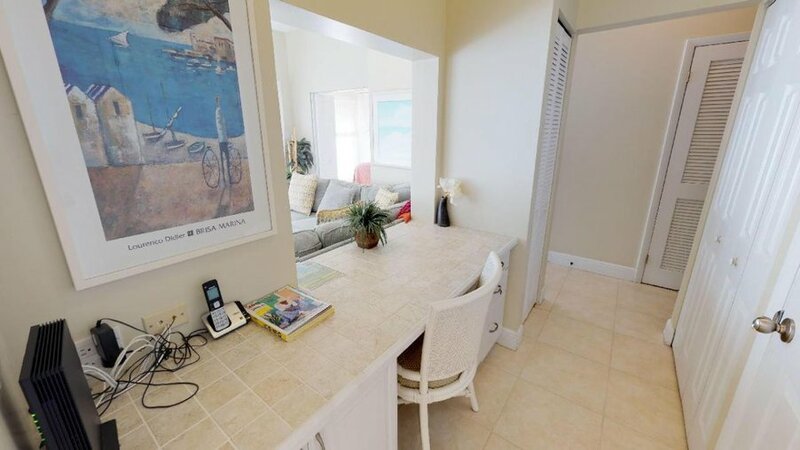 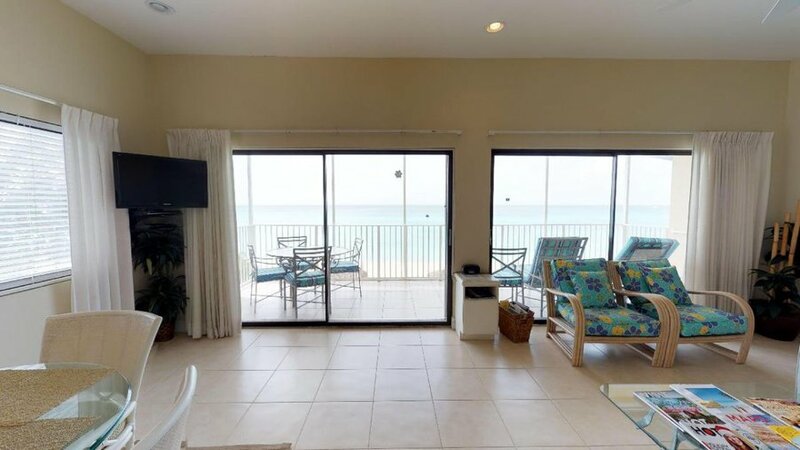 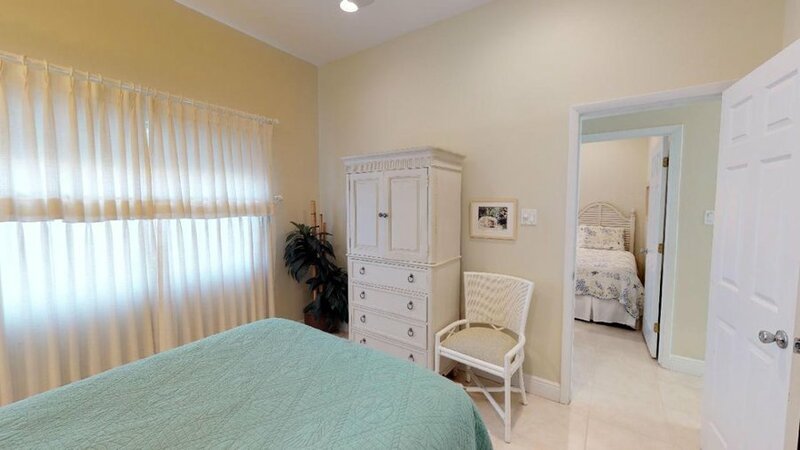 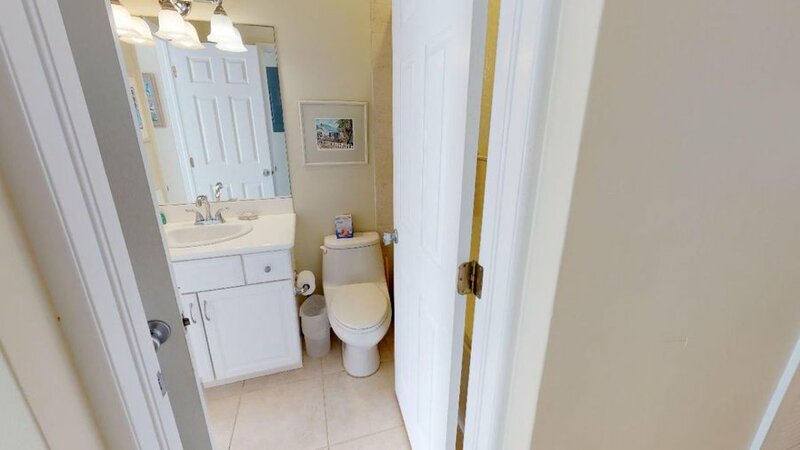 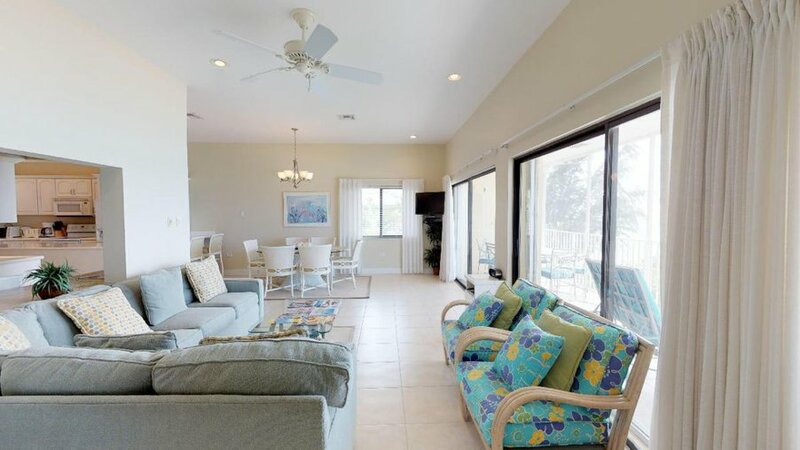 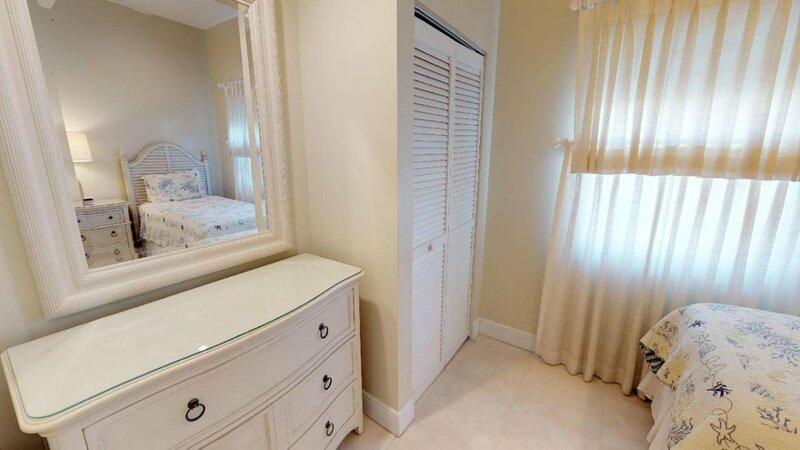 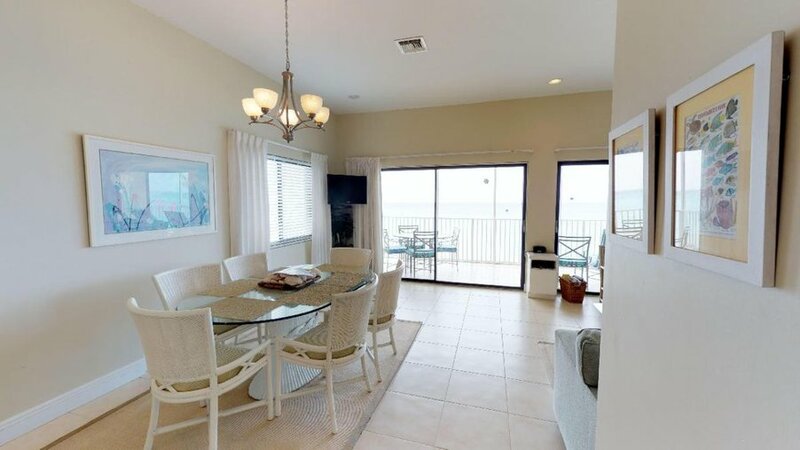 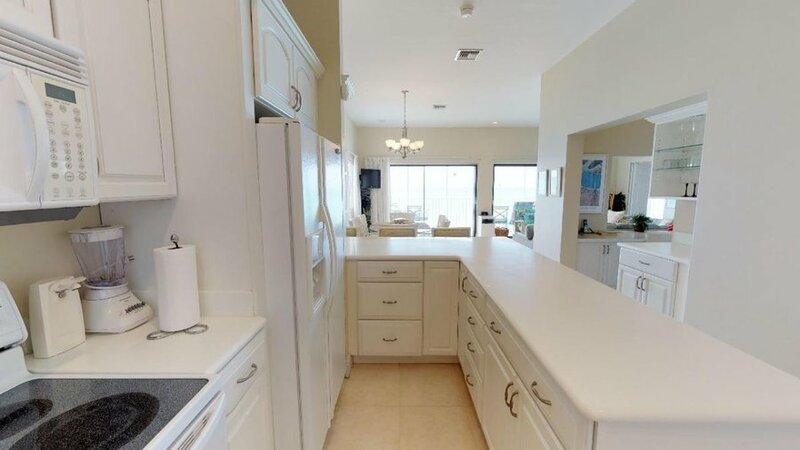 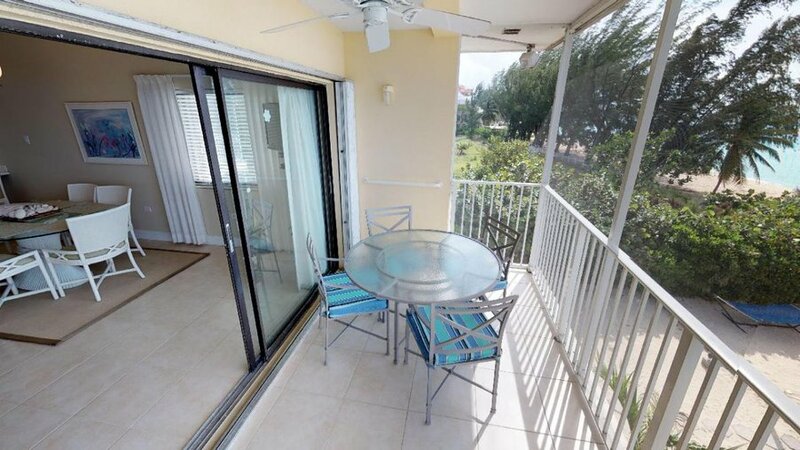 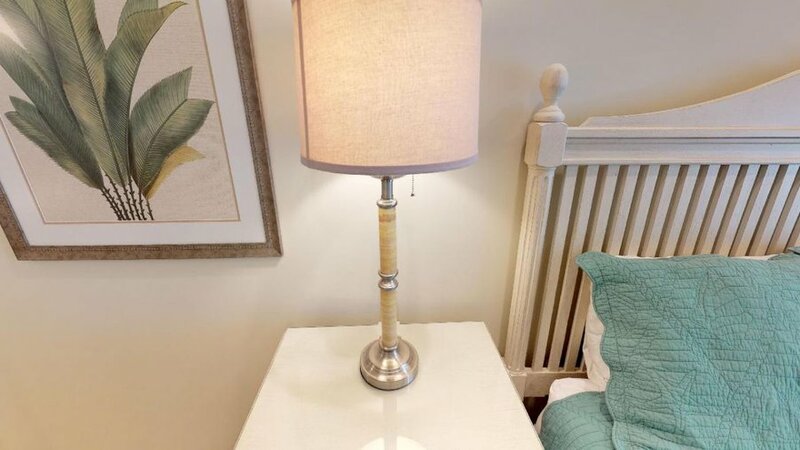 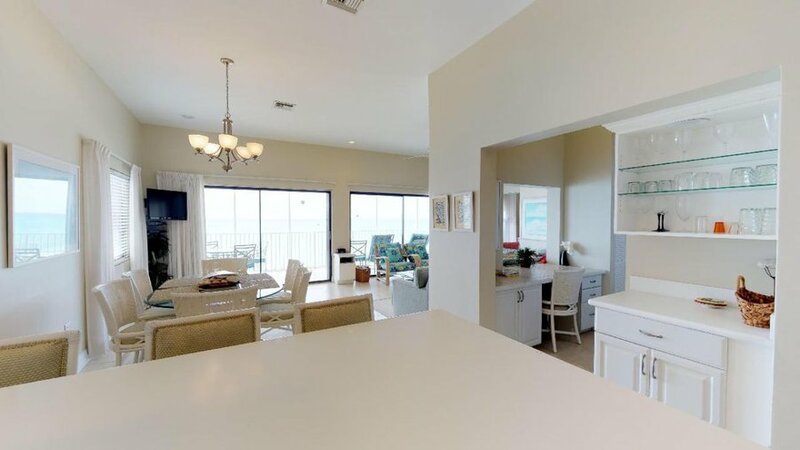 Perhaps the most outstanding features of the unit is the 180 degree view of the ocean and beach from the screen porch and the ten foot ceiling height. 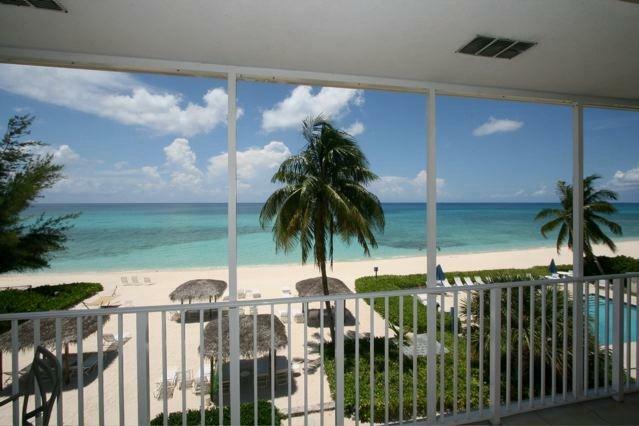 The unit has all you need to enjoy your visit to Grand Cayman and The Anchorage.